Video Converting Apps are such a boon. Especially on Android. A bulky video file can easily be converted in to an audio to be heard as a podcast while travelling. Or maybe you recorded a video of your child performing and want to share it with your family but are not sure of the format that they have on their phone. A Video Converter app for android shall definitely help you so that you can convert it into a format that is easily readable by multiple devices. Such apps also give us creative freedom while offering us multiple number of options of converting videos into whichever formats that we like. Without further adieu, let us start our list of 5 best apps to convert videos on Android. This application is number one on our list for the multipurpose features that it has to offer to its users. This application is user friendly while it easily converts audio to video, video to video and even video to audio. It reduces the file size substantially while giving the user multiple options in terms of format. In the advanced mode, one can easily specify the video bitrate, audio bitrate, arbitrary resolution etc. What more can one ask for? Requires Android 2.3 (Gingerbread) and above. This application has one of the most easy to use features. There is easy extraction option for converting videos into audios and even lets the user to convert videos into ringtones. This application is helpful to all who want to access converted music files which plays with a single tap. Preset a target directory for easy saving of the converted video to mp3. Requires Android 2.3 ( Gingerbread ) and above. This app is really amazing. It allows for streamless conversion of videos into MP3s.This makes it easier for us to access conversations as a podcast. With many applications of the same nature, this one in particular is especially nice as it gives its users the option of saving audio files in the music directory and also gives them the feature in which they can customize or edit the audio to their prefered size or format. Requires Android 3 (Honeycomb) and above. 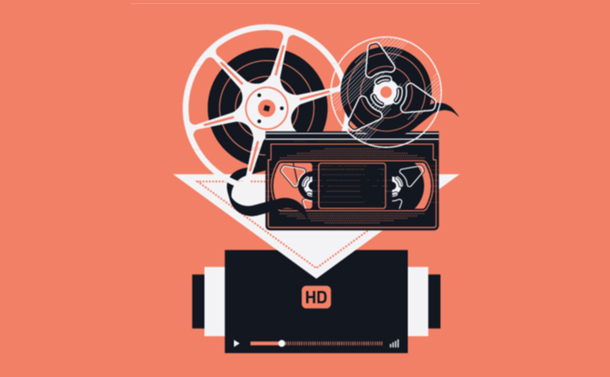 For quality video conversions, this is the most perfect app to use. Play, share and edit videos to the format of your choice. This application offers multiple uses. If you need them, there are also lots of advanced options like batch conversion, file merging, and frame cropping. Customize parameters including video/audio bitrate, frame rate, resolution etc. Requires Android 4.0 ( Ice Cream Sandwich ) and above. This application can convert any and every media file into a file of your preference. Probably the most user friendly of all apps on this list. This application boasts of audio profiles such as m4a (aac-audio only), 3ga (aac-audio only), oga (flac-audio only). The above mentioned are the top 5 video converter app for android. Do drop a line below in the comments sections to let us know which app suited your requirements the best.